The Champagne, and Krug in particular, fanatics amongst you will be well aware of the huge steps this luxury house has taken in recent years to disclose more information on the content of their prestigious blends. 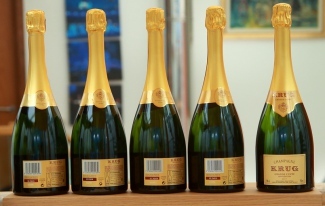 Non-vintage Champagnes can be somewhat miscommunicated to the consumer – as they do not carry a vintage year, it is impossible to tell what is in your non-vintage bottle; a dilemma some houses are responding to by using the vague term multi-vintage instead. In 2012, Krug’s typically innovative solution was to put a code on every bottle of their non-vintage Grande Cuvée which, with the use of a nifty smartphone App, can be used to gain access to a trove of information about each blend. An incredible leap forward for consumer communication, this move was warmly received and applauded by the wine trade as as a whole and in late 2016, the house took this transparency one step further. 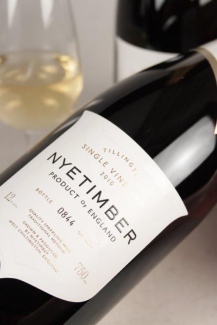 Since most non-vintage blends are an assemblage of wines from the most recent year’s harvest supplemented by older vintage reserve wines, the larger current vintage proportion can be handily referred to as the ‘base vintage’. In the case of Krug Grande Cuvée – an assemblage of well over 100 different wines from more than 10 different vintages – the latest year’s crop typically constitutes between 50-70% of the blend. 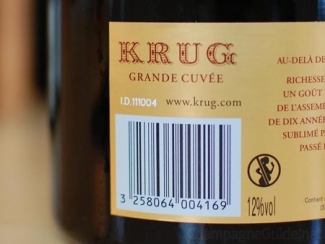 Realising the potential appeal to consumers of revealing this information, Krug have begun releasing their legendary Grande Cuvée blend as annual ‘Editions‘, with the unique number elegantly displayed on the front label. Each Edition thus corresponds to the base vintage; the latest 163rd Edition for example is based on 2007. 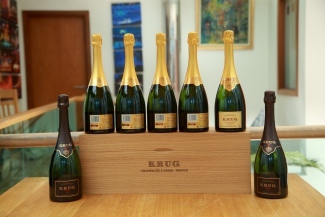 When meeting with Oliver Krug last month at the maison in Reims, he was keen to stress how each Edition is an entirely new blend, and was therefore hesitant to hear the Champagne referred to as ‘2007 Grande Cuvée’. However, this level of clarity is a huge step for non-vintage Champagne and one we’ll hopefully see replicated at other houses. With five Editions of Grande Cuvée released – 159th (2003 base) to 163rd (2007 base) – since the coding concept began, we decided to compare the blends in a blind tasting and see how different the expressions are, and how the superior base vintages manifest themselves in such a complex assemblage. We therefore invited Jancis Robinson MW, who was closely involved in the initiation of the Krug coding concept during a tasting in Hong Kong in 2011, to join us in the first ever blind tasting of the Krug Grande Cuvée Editions. To allow for an interesting comparison of Krug Champagne based on a vintage with Krug Champagne solely from that vintage, we also tasted the most recently released vintages: Krug 2002 and Krug 2003. Oh, and to keep us on our toes and honour the recent addition of English Sparkling Wine to the TFB website, we also threw in a wildcard – Nyetimber Tillington Single Vineyard 2010. 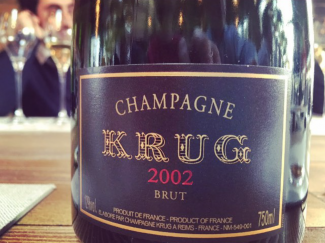 Krug 2002: The best Champagne going? Whilst ranking Champagne of this stature seems purely academic and somewhat unnecessary, for organisational purposes they are presented in order of Jancis’ preference. So what did we learn? Well, first and most importantly of all, that every single Krug Champagne is made to an extremely high quality – vintage or otherwise. That said, there certainly are differences between the varying blends of Grande Cuvée. Interestingly we scored the 159th Edition based on 2003 the highest and the 161st Edition based on 2005 the lowest (albeit both still very high scores). The 159th Edition was disgorged way back in 2011, so perhaps our preference for the maturer style was at play here. Also worth noting are the top scores from the blends with the highest Pinot Meunier content – a grape variety Krug are famous champions of – the vintage 2002 and the 163rd Edition both have 31% of this often overlooked black grape variety. 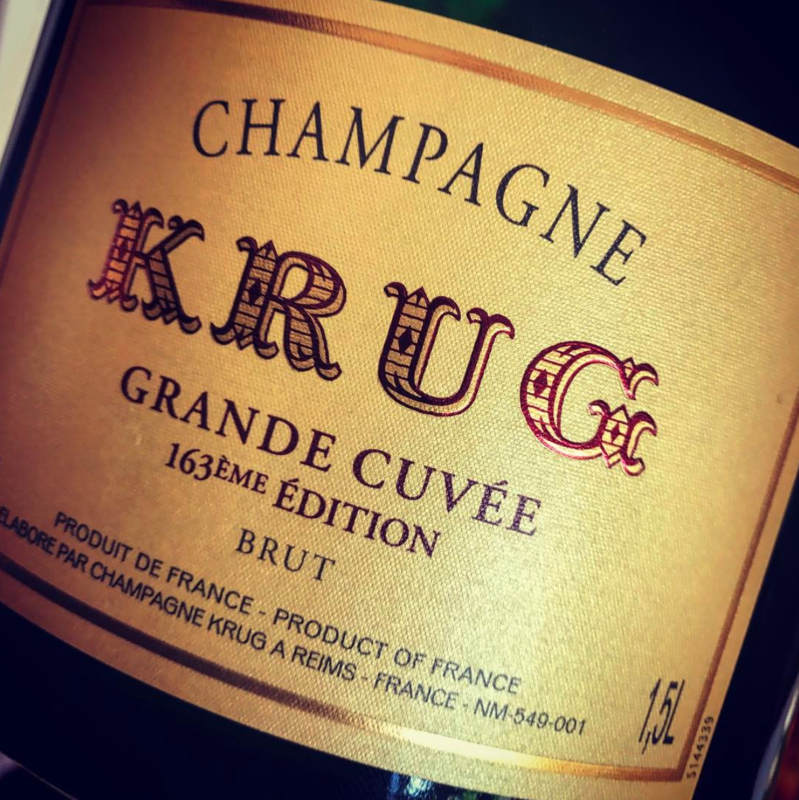 Furthermore, the Krug philosophy prominently pitches that their non-vintage Grande Cuvée and vintage blends are of equality standing and supremacy – any price premium is a result of smaller vintage quantities. 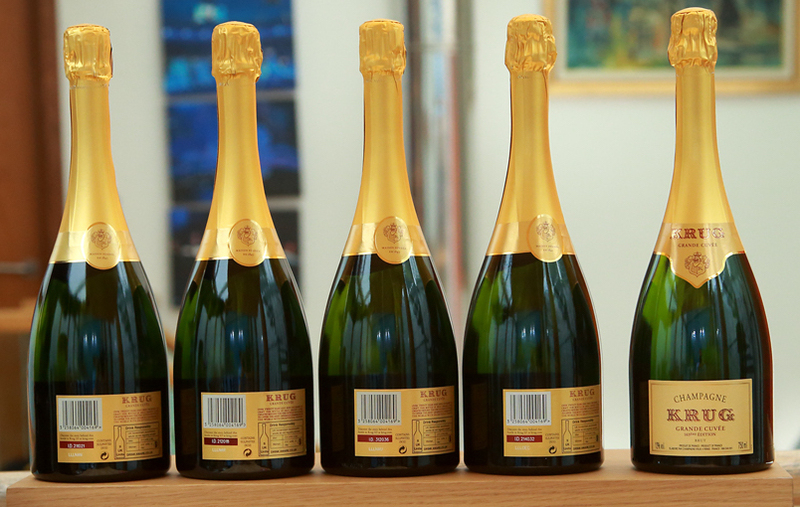 However, in this tasting both vintage Krug’s received the highest scores from Jancis. The latest release Krug 2002 is undeniably a superstar. The house made us wait 14 years for their vintage expression of this legendary harvest, but boy was it worth it. So much power and evolution yet incredible youth, this is one of the best ever made. Our final applause goes to the wildcard English sparkling. Whilst accruing the lowest score from both Jancis and TFB, it was by no means outclassed and exposed only due to it’s simpler complexity; a result likely of it being the youngest Champagne in the tasting. If you’d like to conduct your own comparison – take it from us; a thoroughly enjoyable experience – all of the Champagnes featured in this blind tasting can be purchased on The Finest Bubble website and are available for same day London delivery. Jancis Robinson’s write-up of this tasting can be found on her website and in the Financial Times.